Although some look to golf for some quick off-the-grid time, the scenic hills and blue skies of your local putting green are not immune from the ever-expanding reach of augmented reality. 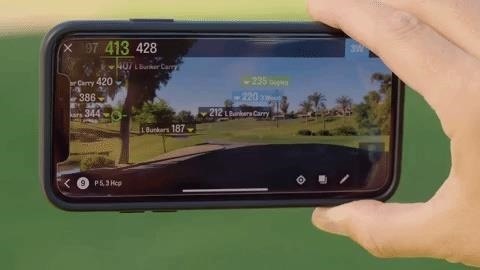 A new update to the Golfshot mobile app brings new AR features to iPhones and iPads designed to help golfers determine shot distances during course play. 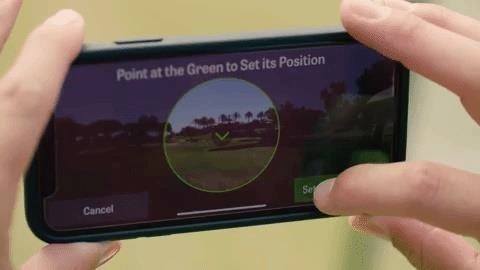 Called Golfscape AR, the feature overlays distances to the front, middle, and back of the green via the app's camera view. The app uses GPS to determine course distances, with more than 40,000 golf courses supported. The new Golfscape AR feature is available now via an App Store update. While Golfshot is also on the Play Store, the AR features are not available for the Android app. And although the app and its new AR features are free, a $29.99 annual Pro subscription (or $4.99 billed monthly) adds the ability to view real-time distances to layup and on-course targets, as well as hazards, such as sandtraps, bodies of water, and trees. Pro users can also receive club recommendations for those distances. Alternately, golfers can opt for the Golfshot Plus, which costs $29.99 and gives users more training videos. Shot distance is an important measurable in golf, and knowing the yardage and the club that matches it can take some of the frustration out of what can be a difficult game to master, even for seasoned players. In the future, I imagine a feature like this will be even more indispensable with smartglasses, to the extent permissible by the rules of golf's governing bodies. Unfortunately, Golfshot won't help you take the slice out of your drive or put the right touch on your putt. Then again, augmented reality is still an emerging technology, so as body tracking technology advances, there might soon be an AR app that will help golfers take a few strokes off their game.